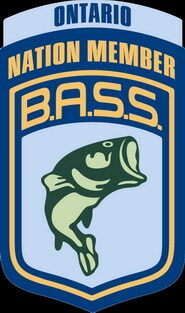 On Saturday, September 3rd 2011, members of the Ottawa Valley South Bassmasters held its second Tree Drop Event on Mississippi Lake as part of the chapters commitment to conservation. The first Tree Drop Event was held the previous year on the same body of water with great success. The purpose of the "tree drop" is to create fish cover and habitat for all species of fish, not just bass, using bundles of old cedar/pine trees anchored in place with concrete blocks or bricks. With approval and funding from the MNR Program, Community Fisheries and Wildlife Involvement Program (CFWIP), it was another successful tree drop. Also a big thank you to the cottage owner on the lake that donated the trees from his property.